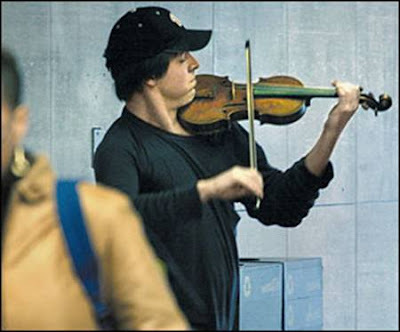 THE SITUATION - In a Washington D.C. Metro Station, on a cold January morning in 2007, this man with a violin played six Bach pieces for about 45 minutes. During that time, approximately 2,000 people went through the station, most of them on their way to work. * If we do not have a moment to stop and listen to one of the best musicians in the world, playing some of the finest music ever written, with one of the most beautiful instruments ever made; how many other things are we missing as we rush through life?